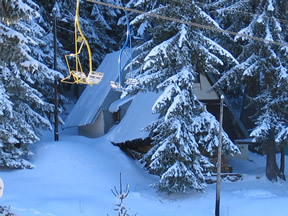 The ski chalet SEMA is located on the most popular spot on Jahorina mountain (altitude 1640m). It is in the very centre of the hotel complex in between the two ski wiredrawing mills and ski paths. 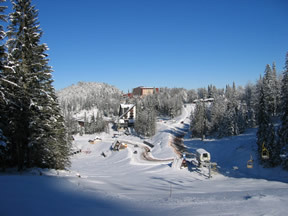 Jahorina is located 28 km north east of Sarajevo, Bosnia and Herzegovina capital. The fast, two track road, fully maintained during the winter, will get you here in less than 30 minutes. Jahorina is distant 320 km from Belgrade, and 350 km from Zagreb. 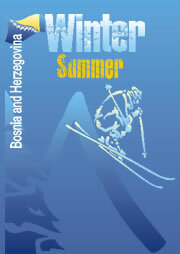 From SEMA you can enjoy in the beautiful view at the ski paths and the hotels Košuta and Bistrica. The two fully furnished and equiped suites will make your stay on Jahorina pleasent and trully memmorable. 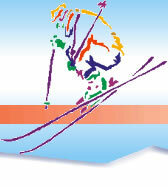 Copyright © 2006 www.ski-jahorina.ba All rights reserved.